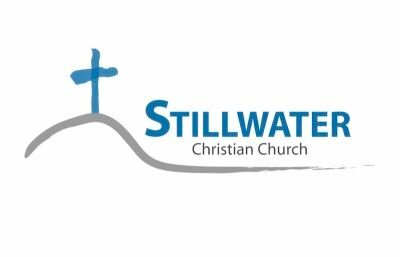 I am Deborah MacKillop Hashagen and it is my delight to serve as the Office Administrator/Church Treasurer here at Stillwater Christian Church. I first became familiar with the Bloomsburg/Benton area in 1972 when I moved here to attend Bloomsburg State College (now Bloomsburg University). I was working at Hotel Magee and living on a beautiful farm in Grovania with friends of my parents when the flood of 1972 hit the area. I met my future husband Dennis during that clean up time. He was in the Army and was “on patrol” in the area. Denny and I married in July 1973 and moved back to Florida in 1974. I worked for Southern Bell from 1978 until 2002. As everyone knows, the telephone system in the USA went through many marked changes in those years and my office was closed in 2002 and everyone forced out – or you could resettle in another state to keep a job. I was an assistant manager at that time of a group of 14 people. We handled the PSC and higher management complaints from the public and I can truly say I loved my job and the people I worked with. I have always been a “people person” but waited until my children were grown before pursuing the management world. I was a year short of retirement when I lost my job. I entered the world of real estate after the phone company as a licensed real estate agent and enjoyed that career until Denny retired from the West Palm Beach Fire Department. Our children had made it clear after attending their separate colleges and seeing a bit of the world, they would not be returning to South Florida for their livelihoods. With that in mind, Denny and I chose to come back to the NE Pennsylvania area. I loved this area and it’s beautiful landscape. I was raised in the Air Force and have lived all over the world and I really think that this is one of the prettiest places in the world. I love the seasons (Winter could be shorter) and the wildlife and getting to know the people. We have three children in this area with their families, two in Las Vegas and one in Denver. They have brought 7 grandchildren into our lives, the most recent born September 1st, 2011. . They are all the joys of my days. God gave us grandchildren for a reason. When I first moved back to Pennsylvania, I searched for a church and visited many. My neighbor and pastor, Scott Lyons asked me to become involved in VBS here at Stillwater Christian. That was in June of 2005. 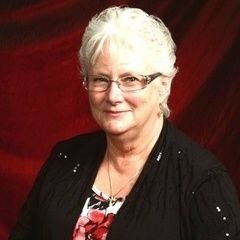 I was hired by the church that July and it is now a continuing story. I am thankful the good Lord has brought me here and I now consider you and the church my family. I hope to be productive with and for my brothers and sisters for years to come. Come join us in the adventure!